At Acura of Berlin, we want you to have a positive car-buying and automotive experience. Whether you arrive at our new Acura dealer in New Britain searching for an ILX, MDX, RDX, RLX and TLX or a quality used car, our expert team is dedicated to helping you find the perfect match. But we don’t consider that the end! We also offer a range of other auto services. The first time you may experience one of these services is once you’ve picked out the car you wish to drive home. Our Acura lease and loan specialists will help you find a financing option that meets your requirements. Even after you leave our dealership as a new owner, we support you by offering comprehensive care at our Acura service and repair center. Buying or leasing a vehicle from us ensures that you get trusted maintenance, as we use quality certified Acura parts that you can purchase as well. How can you experience all this? 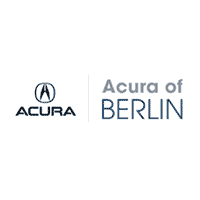 Stop by our new and used Acura dealership in Berlin! Our address is 224 Berlin Turnpike Berlin, CT. While you’re here, we would be happy to discuss our models, answer your questions and arrange test drives. We can also be contacted via phone or through our online contact form. The men and women of the Executive Auto Group believe that no business thrives unless the whole community succeeds. Please visit our new website, Executive Auto Group Cares, to see how we are working every day to make a brighter, more hopeful future for all of our neighbors in the Middletown and Hartford area.